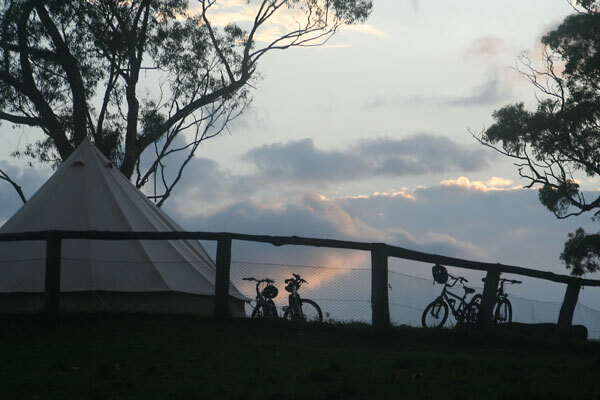 The carefully chosen campsites are equipped with amenities that will create the perfect getaway. 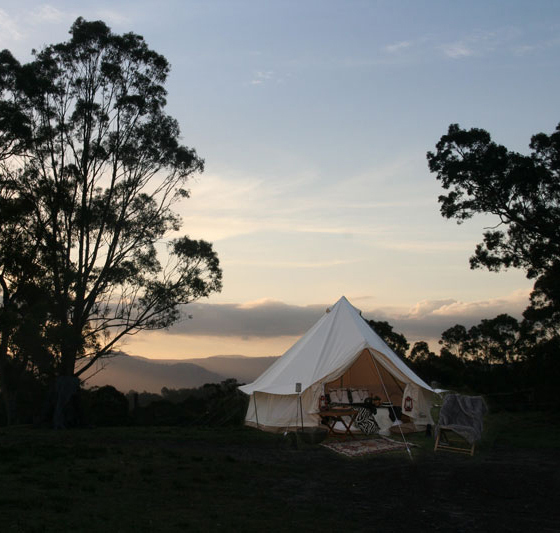 The well-appointed canvas tents are perfect for a hassle free weekend getaway that allows you to truly enjoy the pristine wilderness of the magnificent Blue Mountains. 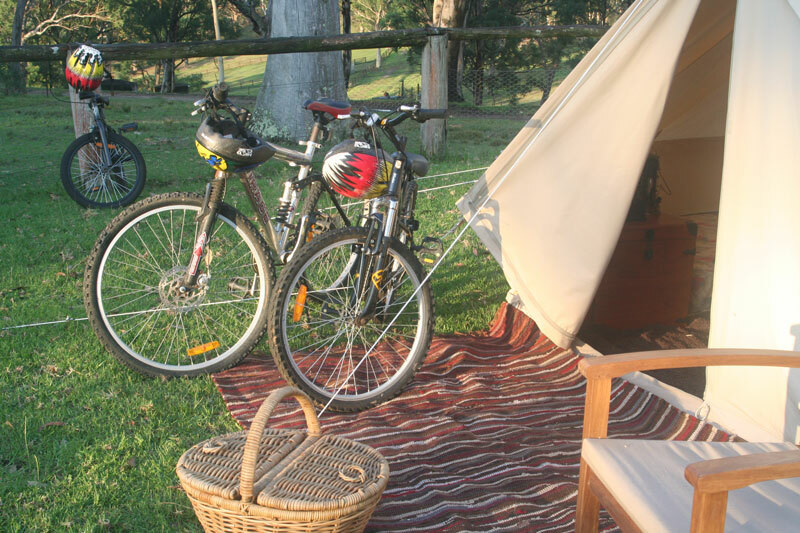 GlampCamp is located 7 miles from Katoomba in the Blue Mountains National Park where awesome cliffs touch the sky, waterfalls carve the rock and wildlife roam free. Unwind in style in your Luxury Tent Camp. Affordable tents with beds and blankets are provided, or upgrade to a number of different luxury choices in the GlampCamp tent packages - perhaps a Yulefest Feast or a Dinner with Difference. 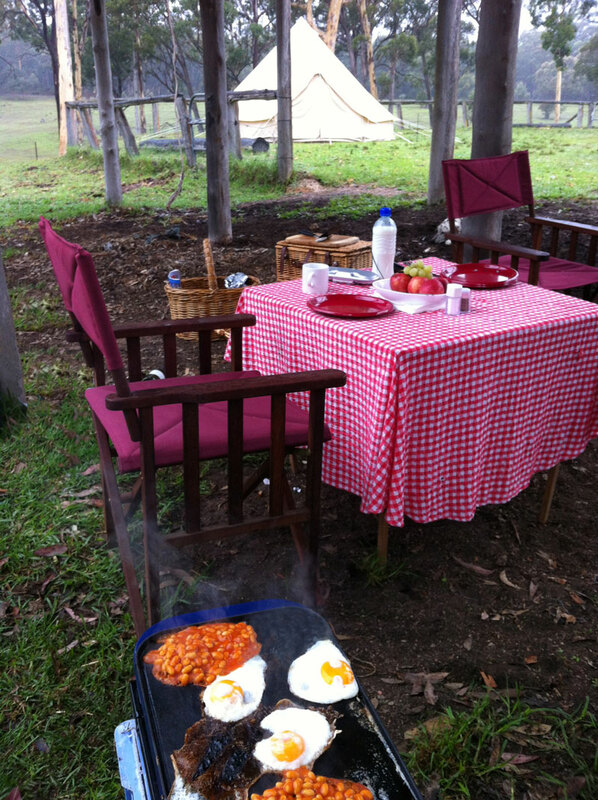 Then tuck into a hearty campfire breakfast. Head on down to the main centre and mount up on quiet horse for a getaway ride with a great guide to take you on a journey through the bush on a steady stead. 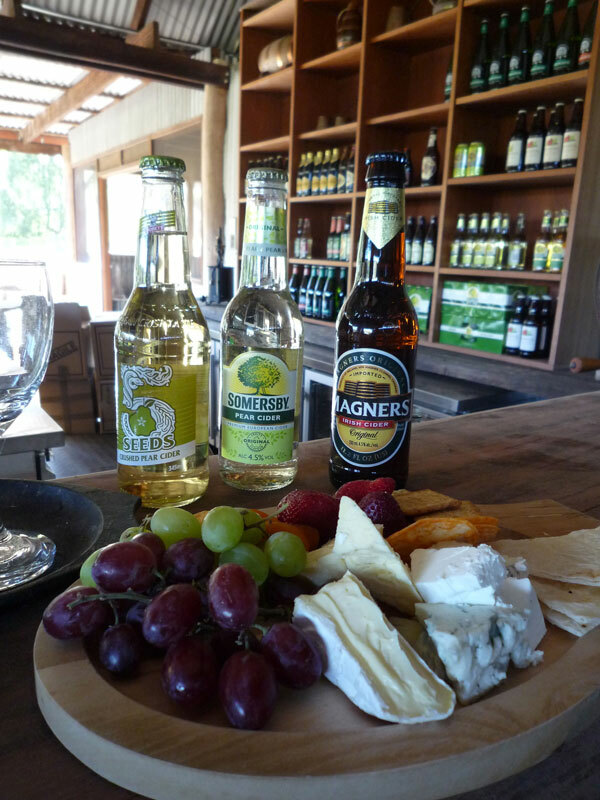 Then its back to the Cider Barn for a Cider Cocktail and a Sampling Plate. Sit at the bar for a while. The setting sun reflects on the awesome cliffs and the drinks flow freely as you share tales of your adventure day and wriggle your toes in the warmth of the fire. An impressive selection of biscuits, cheeses and dips ensures no one will go hungry. early morning cycle workout, a cider sampler in the Cider Tasting Barn. We keep it simple and that includes pricing. All tents are strategically place so that no tent is closer than 15m from the next tent making the GlampCamp an exclusive low density camp. $100 cancellation fee per person if the booking is cancelled more than 4 weeks prior to arrival. 50% cancellation fee will be charged on the total package if cancelled less than 4 weeks and before 72 hours prior to arrival. Less than 72 hours a 100% cancellation fee will apple. Once you forward your required deposit, you agree to these cancellation conditions. These conditions can vary with some particular suppliers and packages.